Study Visa Approvals - December 7, 2018 - Gateway to Canada | Canada Immigration Consultancy! 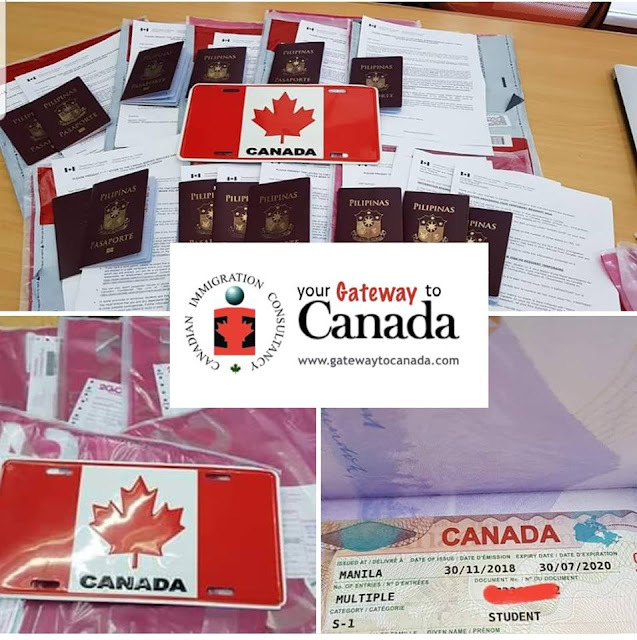 These are the study visas we received from Canadian Visa Office - Manila today. Most of these clients are single but there are some with dependent spouse and kids. The easiest and fastest way now to move to Canada, to live there permanently with your family is the Study Visa Pathway. Your visa can be processed within a couple of months only. However, should be careful in choosing the school you are going to and avoid being a victim of education trafficking.